Peter Friedmann is an Ohio employment litigation attorney, who represents clients in state and federal court. 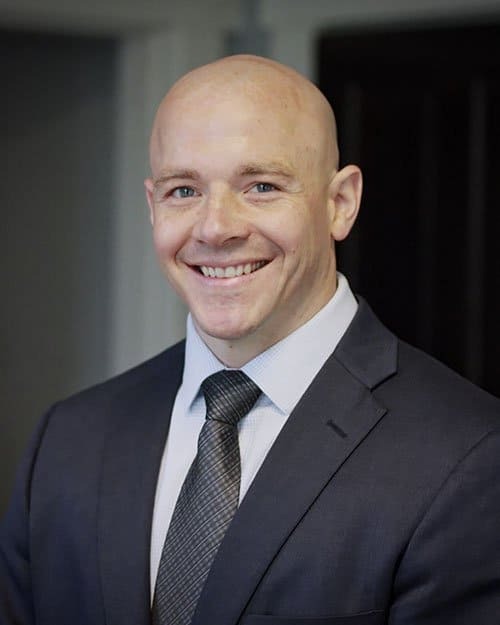 Pete is licensed to practice in all Ohio state courts, as well as the U.S. District Courts for the Northern and Southern Districts of Ohio, and the U.S. Court of Appeals for the Sixth Circuit. Pete is a hard working, loyal, family-minded person. Pete comes from a great family that instilled in him proper values and a strong work ethic from a young age. Although Pete was blessed with many great attributes, a thick head of hair is not one of them. But what Pete lacks in hair, he makes up in determination. Pete grew up playing soccer, football, and baseball, and he was an avid snowboarder and fighter (with his two brothers). Pete began playing rugby at St. Edward High School, and continued throughout college and law school. The pinnacle of Pete’s rugby career occurred when he was selected to play for the USA in the World Rugby Classic. Pete graduated from college at Ohio University, where he earned two bachelor’s degrees in Business Administration. During his four years in college, Pete worked two different jobs, played several sports, and often volunteered his time. After college, Pete took a year off from school and worked for a civil litigation law firm in Cleveland, Ohio. He then attended Capital University Law School, where he achieved national honorary recognition for oral and written advocacy before graduating. After his educational years, Pete had no trouble transferring his determination and unparalleled work ethic to the practice of law. Pete has successfully litigated cases in state and federal court, throughout Ohio. Pete has obtained favorable outcomes for his clients in the following practice areas: disability discrimination, FMLA interference/retaliation, unpaid wages, unpaid overtime, unpaid commission, employee misclassification, sexual harassment, age discrimination, severance negotiation, race discrimination, retaliation for whistleblowing, and military discrimination. Take a look at Pete’s client testimonials to see what his past and present clients have said about him.